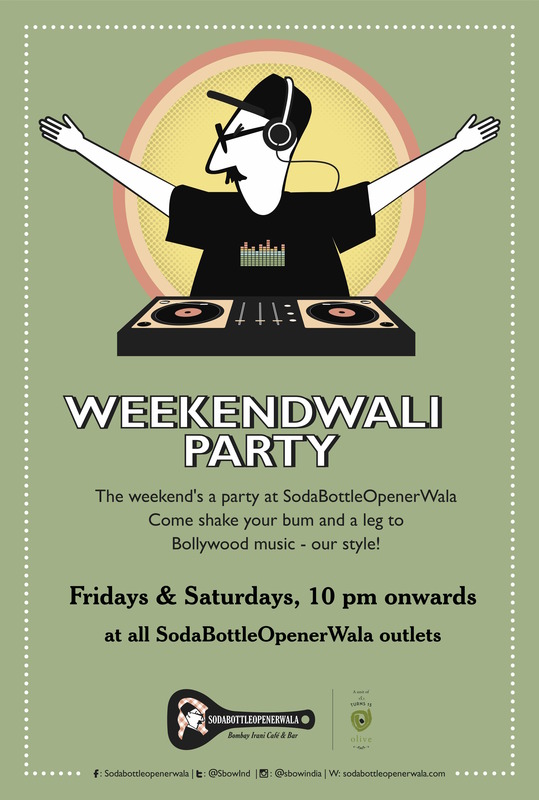 SodaBottleOpenerWala Hyderabad is a casual all-day café serving Parsi and Bombay inspired Indian Food. We’ve a full bar setup and the signature cocktails are a must try. We’re children and vegetarian friendly. 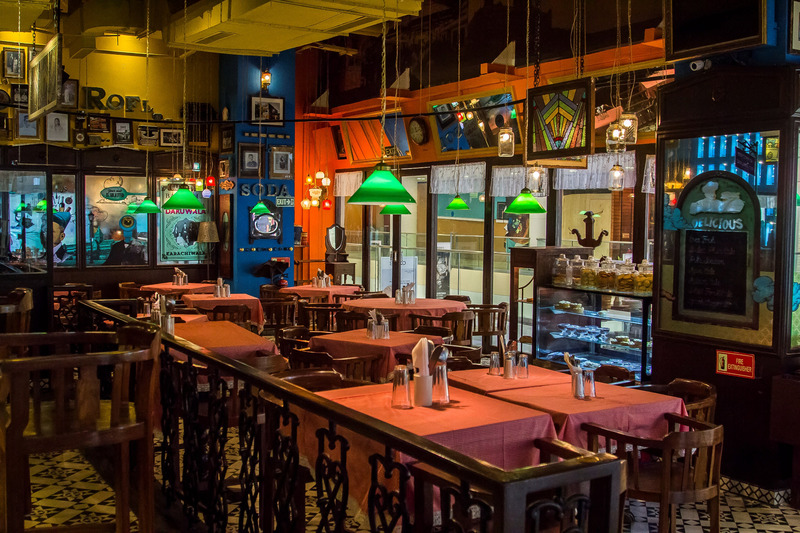 Like Bombay, Hyderabad also has its own Irani Café culture, which has been instrumental in defining the city’s eating out culture. 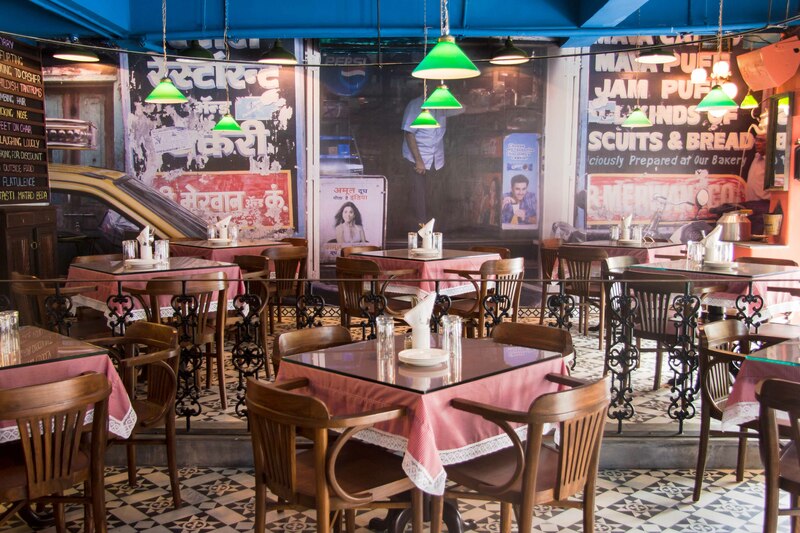 In the 60’s and 70’s, Irani Cafés used to rule the roost and were trendsetters. Places like Olympia in Abids used to have a jukebox in the old days. 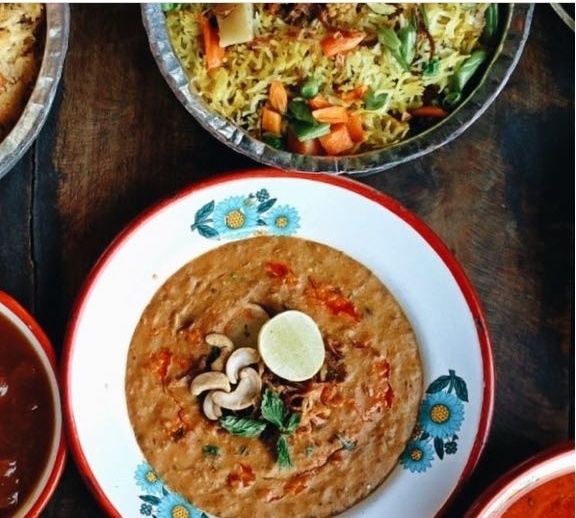 Hyderabad’s most famous Birgani place – Paradise, started off as an Irani Café serving Bun-Butter, Tie Biscuit, Keema, Eggs and Irani Chai, before it transformed into its current avatar of a much loved biryani place. 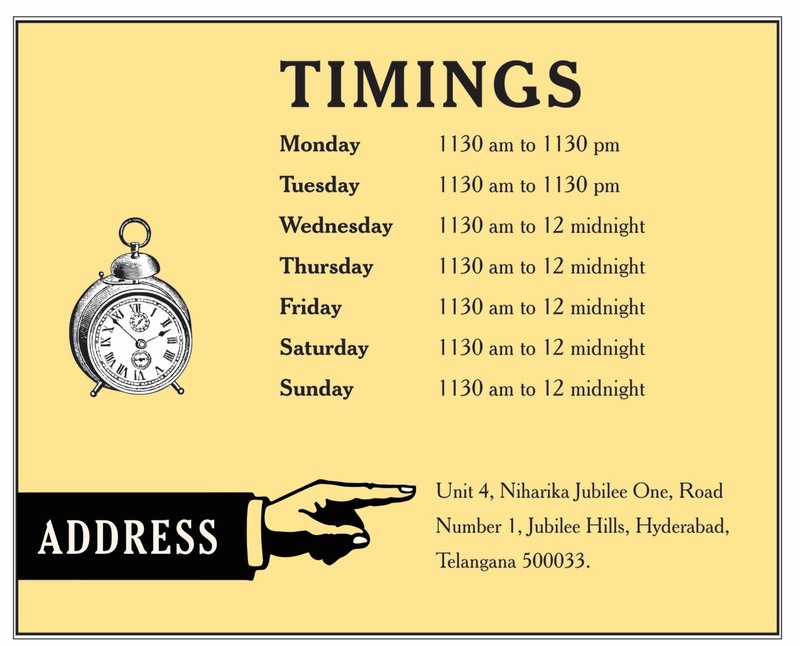 Unfortuntely, the Hyderabadi Irani Cafés in their classic form, are a dying breed. 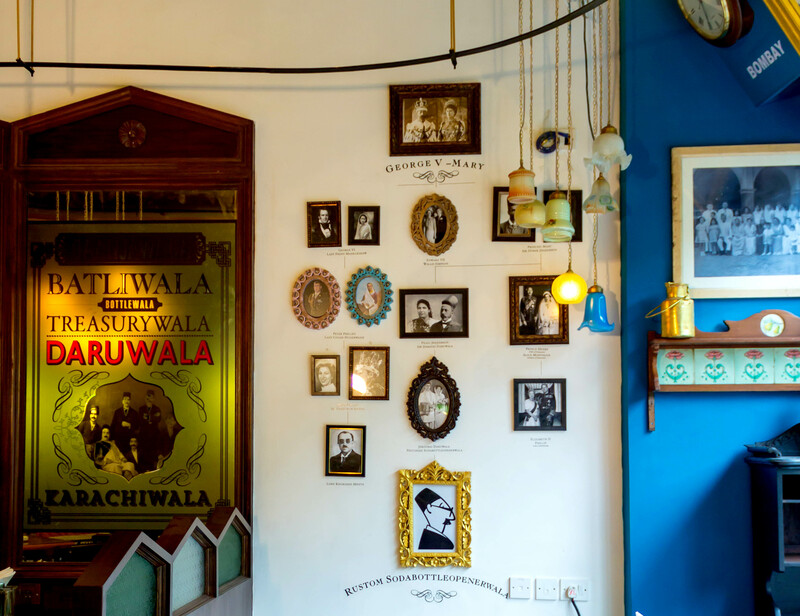 To put back the spotlight on them, the SodaBottleOpenerWala Hyderabad team decided to include classic dishes of Hyderabadi Irani Cafés as part of our menu, in addition to our regular Parsi and Bambaiyya fare. 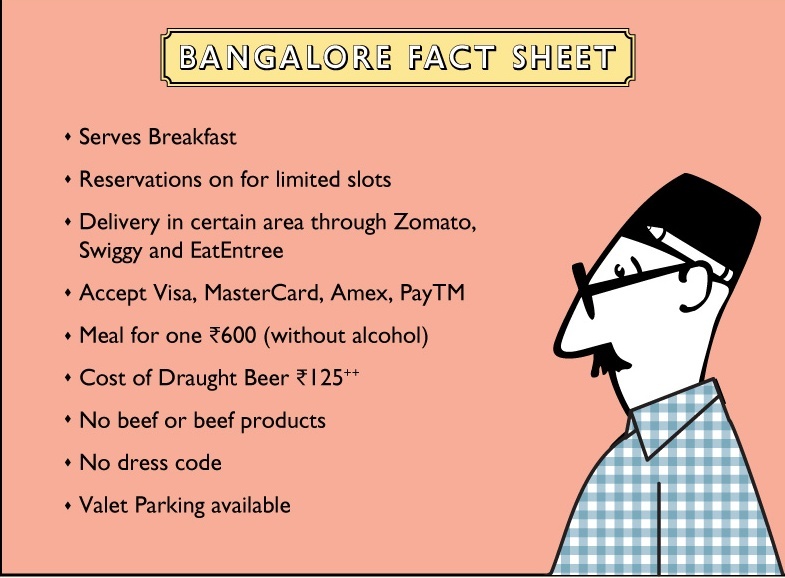 As part of this, we serve an excellent Biryani, classic Hyderabadi Haleem, the inseparable combination of Kaddu ka Dalcha and Baghara khaana. 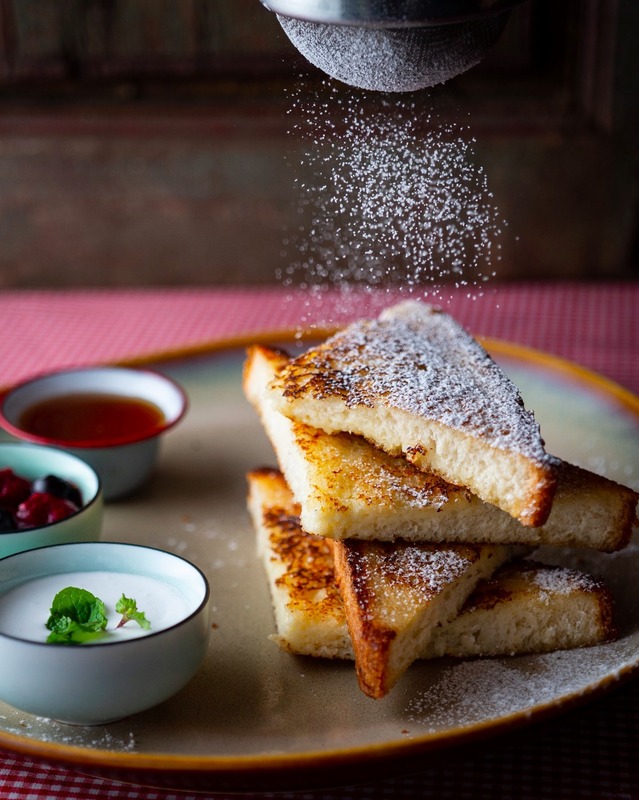 We also serve typical Hyderabadi snacks like Talahuwa ghosht and Lukhmi. 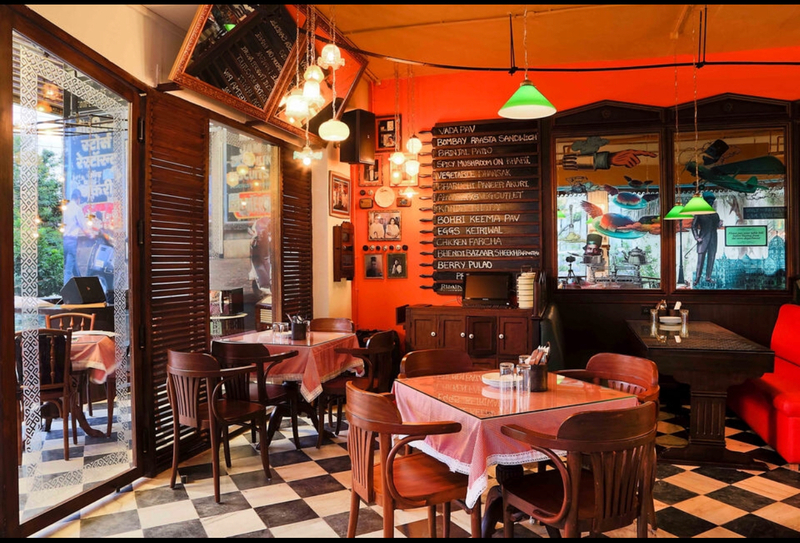 We sincerely hope that the Irani Cafés of Hyderabad reinvent themselves and regain their past glory and again become defining spaces for Hyderabad’s eating out culture, like how they were in the 60’s and 70’s. 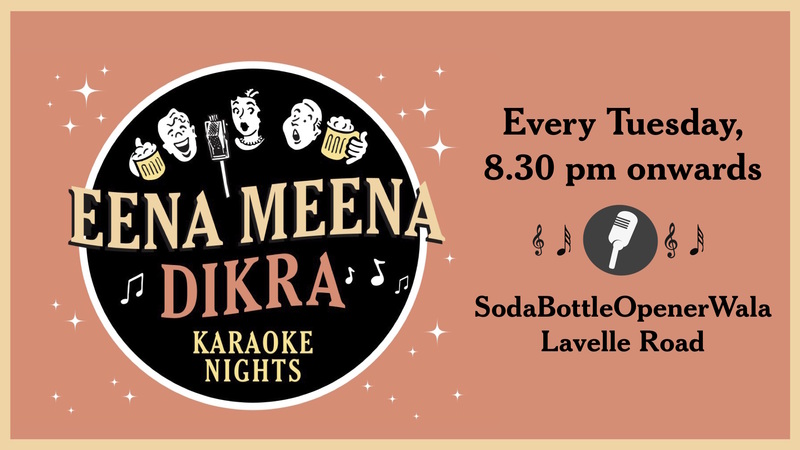 The highlight of our Wednesday evenings at SodaBottleOpenerWala Hyderabad is Mounira Express, a live band playing awesome English and Hindi Retro numbers. 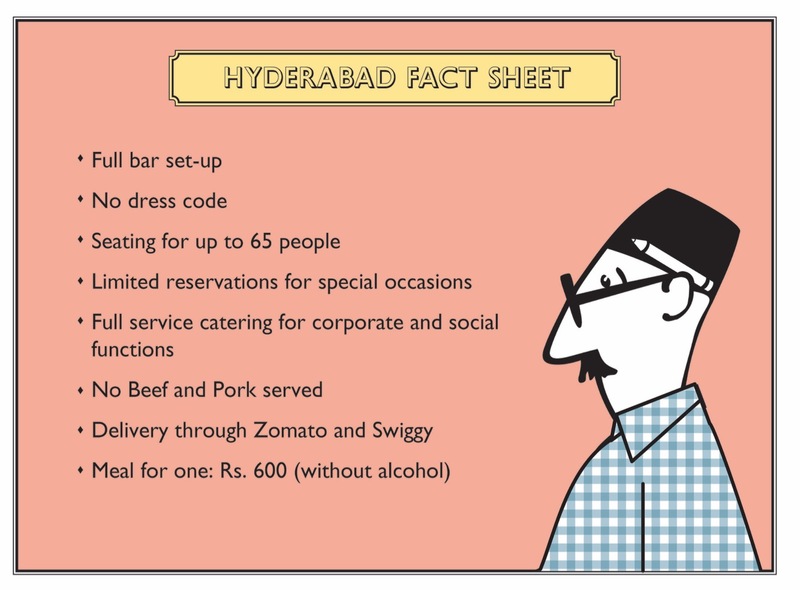 This’s a popular night in Hyderabad and its best to come early for a table. 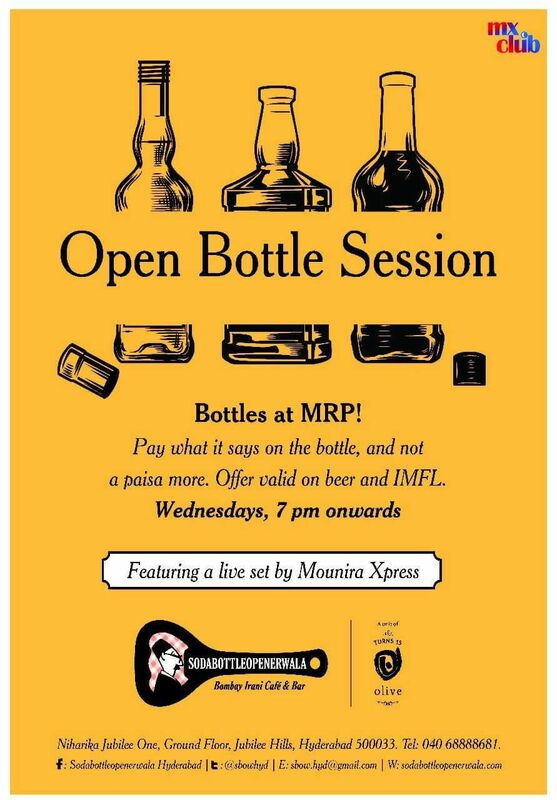 We also have a special menu for drinks on MRP. 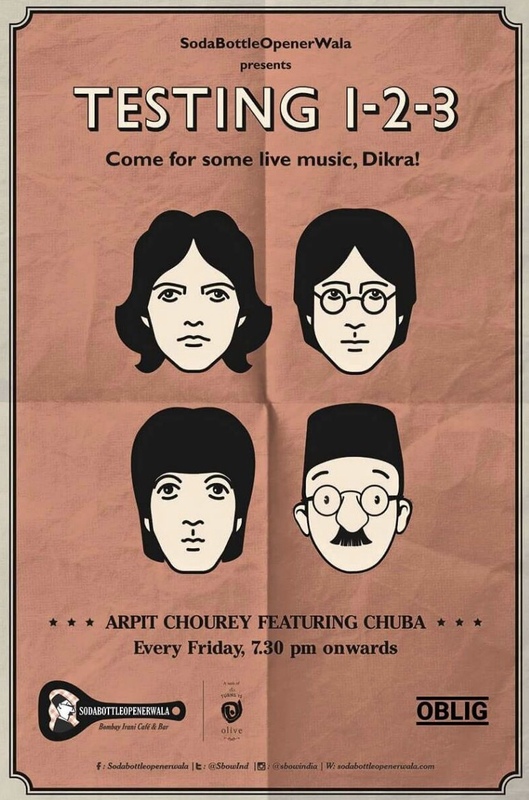 Arpit Chourey is one of Hyderabad’s better known singers and he’s does a live set with nostalgic Hindi Retro numbers. 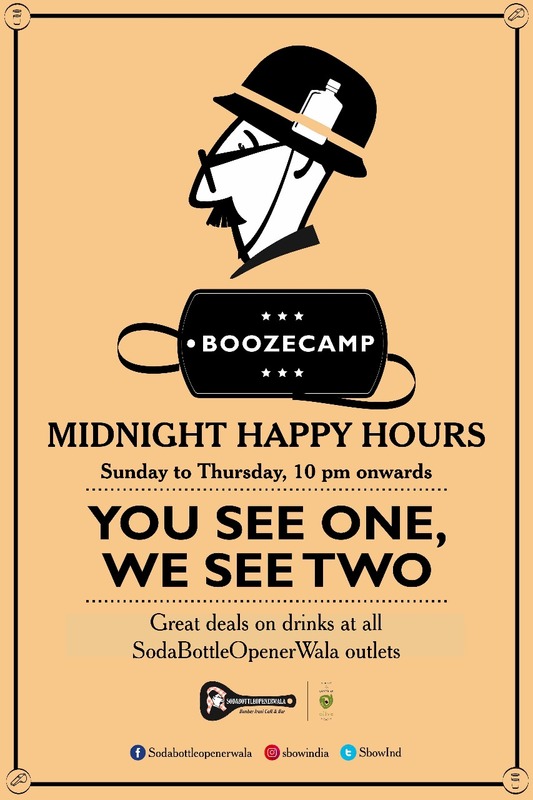 This’s probably the best late night deal you’ll get in and around Jubilee Hills. Buy One Get one Free on Budweiser Draught and Signature Cocktails. 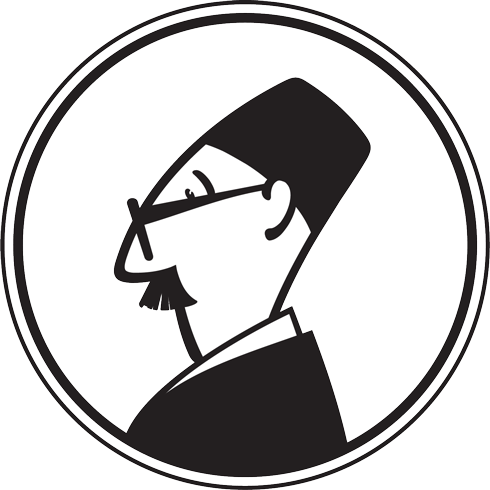 Featuring the best chaat from the streets of Bombay, with a twist. 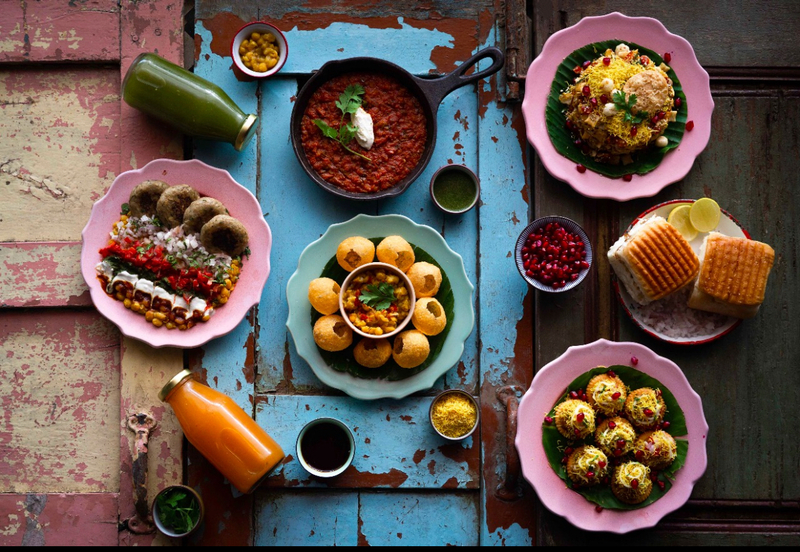 There’s Goat’s Cheese Pav Bhaji, Ragda and Banana Pattice, Seabuckthorn Ragda Puri, Sev Puri Cheese puri and Puffed Amaranth and Lotus Seed Bhel. 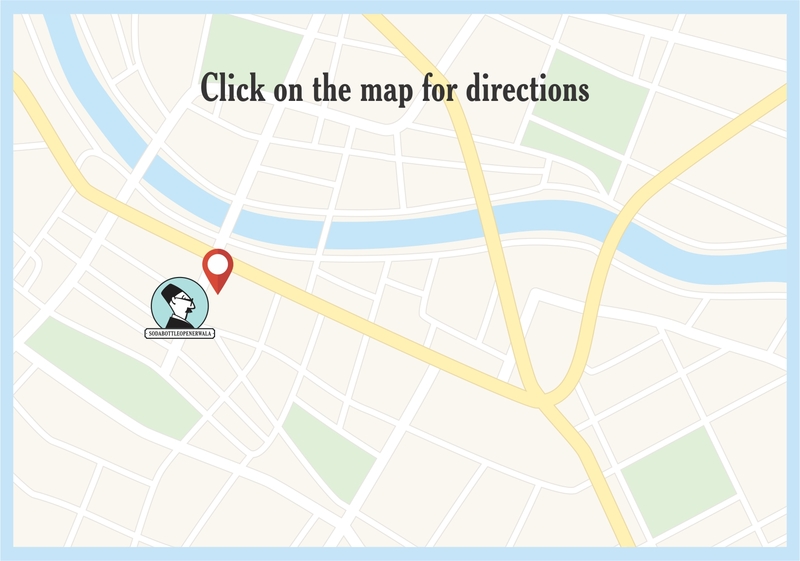 Come get your chaat on! 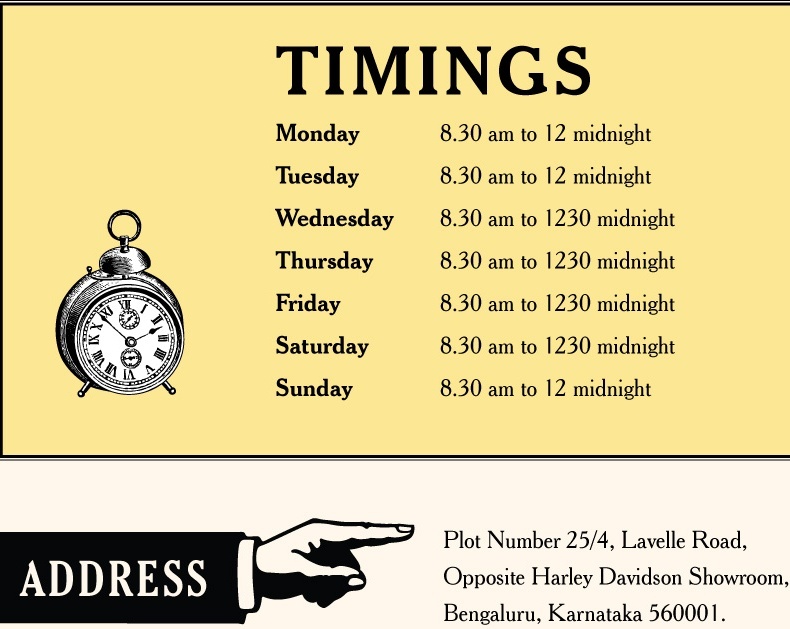 All day 1130 an onwards. Till November 15.